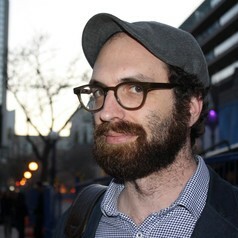 Brian Dolber earned his Ph.D. in Communication from the University of Illinois, Urbana-Champaign (2011), with a focus in political economy, media history, and media policy. He also holds a B.A. in journalism from The George Washington University (2003). Dr. Dolber is the author of Media and Culture in the U.S. Jewish Labor Movement: Sweating for Democracy in the Interwar Era (Palgrave Macmillan, 2017), which explores the Jewish Left’s innovative strategies in maintaining newspapers, radio stations, and educational activities during a moment of crisis in global democracy-- the 1920s and 1930s. By adapting to an emerging media environment dependent on advertising, Jewish immigrant socialists constructed a new political identity compatible with American liberalism and an expanding consumer society, securing a place within the New Deal coalition they helped to produce. He is also the author of several journal articles published in venues such as Communication, Culture and Critique, Communication Theory, and Democratic Communique, and book chapters. Dr. Dolber believes that historical inquiry can help develop strategies for contemporary movements for social justice. His current research examines the more recent history of digital policymaking, and the ways in which discourses about technology have shaped political alliances and outcomes. He is also interested in the relationship between labor in the cultural industries, the academy, and the so-called "gig economy." Dr. Dolber has been a Congressional fellow in the Office of Rep. Diane Watson, and has worked with numerous labor unions and organizations. He is the winner of the Margaret A. Blanchard Best Dissertation Prize, and recipient of the Moore Institute Visiting Research Fellowship at NUI Galway. Dr. Dolber was previously assistant professor at SUNY College at Oneonta.